VLC Media Player : PC Software ~ My Media Centers-PC & Android Games & softwares,Movies, Tips And Tricks & Much more..
VLC Media Player supports to play videos files, it's a free program wished by most of the PC users. Recently, VideoLan has released the latest version of VLC Media Player VLC 2.0.5. This new version is released with number of stunning new features like frame by frame advancement, on-the-fly trans-coding, granular speed controls and much more new feature added in this new version. And also VLC 2.0.5 version consist customize tool-bars, customize skins. Even it's supports playback for broken and zipped files. 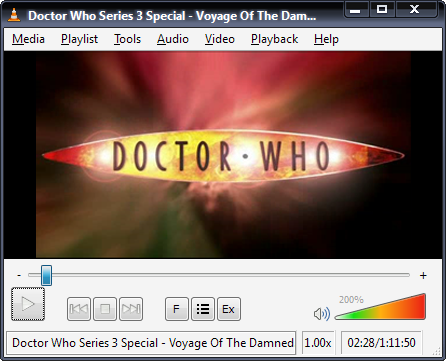 When compared with other video player programs, VLC has the ability to play videos in any formats. VLC 2.0.5 fully supports with Microsoft's Windows 8, Windows 7, XP and Mac, Linux. Here I have given you the download links below. excellent post.. please keep up the great work..